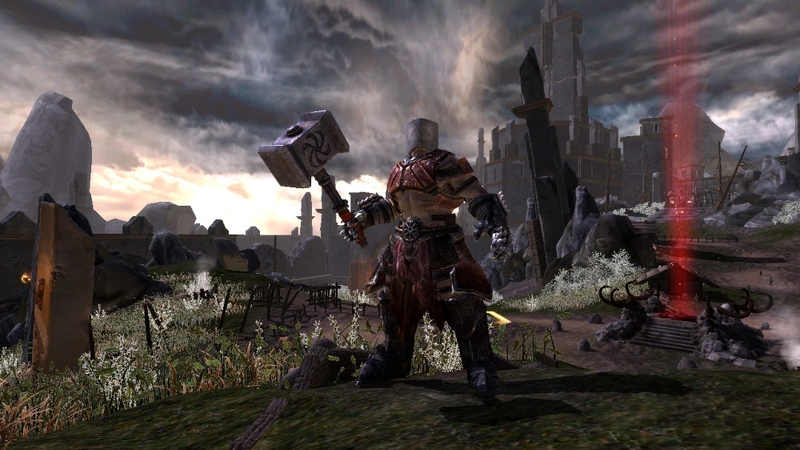 The Ascend: Hand of Kul beta is a free offering on the Xbox LIVE Marketplace that blends a high replayability system with freemium content for a deceptively addictive smash-em-up title. Players are introduced to the soul currency system at character creation, as customizing one’s Caos allows a small choice of free skins and a deeper selection that costs souls. After the first opportunity to spend money on the game, the customized Caos must finally choose one of the three gods of the game: Void boasts the domains of ice and deception, Light reigns over speed and critical hits, and Dark is the heavier damage aspect. The Caos runs about the World Above, using magic, quick, and heavy attacks in sequences for chained combo attacks that cut swaths through enemies. Combat is akin to that of God of War, right down to bonus multipliers for uninterrupted combos and finishing moves for weakened foes. 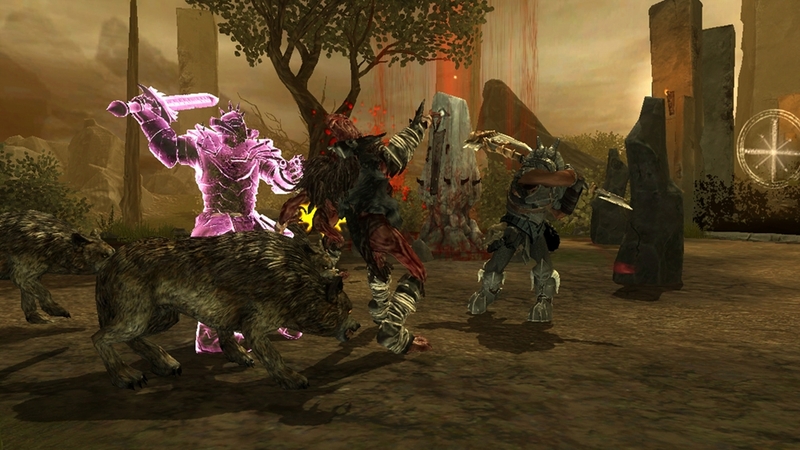 Defeating enemies will grant you souls, which are essentially the currency of the game. And that’s the catch. 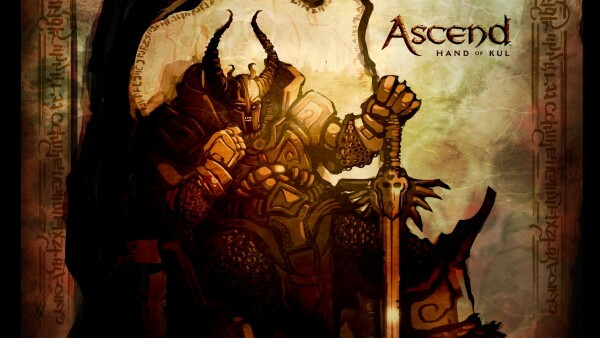 The Ascend: Hand of Kul (beta) is free to download, free to play, but you are often presented with the opportunity (and encouragement) to buy packs of souls to save yourself the grinding time. Souls, being the sole currency, are used to unlock abilities, attain boosts, upgrade traits, buy customization options, acquire gear, and repair equipment. You NEED souls, but you don’t NEED to pay for them. But the option is always there. Besides fighting monsters in the Overworld and in dungeons, there are player-versus-player elements worth mentioning. 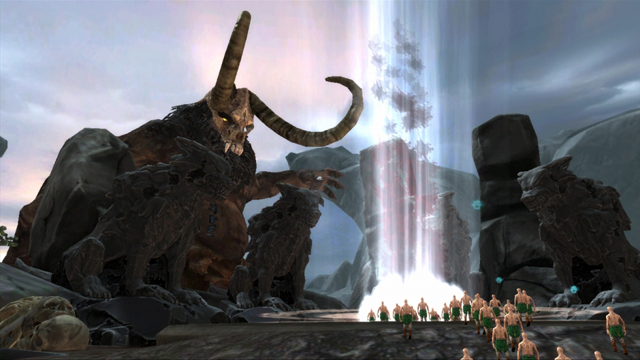 Other players will populate your world, visible as ghostly Caos characters outlined with the color dedicated to their chosen Gods (red for Dark, yellow for Light, and blue for Void). Crusade Spells can be used to either buff the other player with a Blessing (such as extra experience) or hex them with a Curse (like Banishing Overworld enemies into their plane of your world). Occasionally your conquered lands will be invaded, and you’ll be given the option to warp there and fight the opposing Caos in a duel. The objective of the Caos is to convert lands and humans to the god you serve. Once objectives are completed and the land is under your god’s control, human followers may be summoned from the lands to ride on the shoulders of the Caos. From there, the tiny warriors can be eaten for health, thrown at enemies, or left alone to fire arrows at foes. 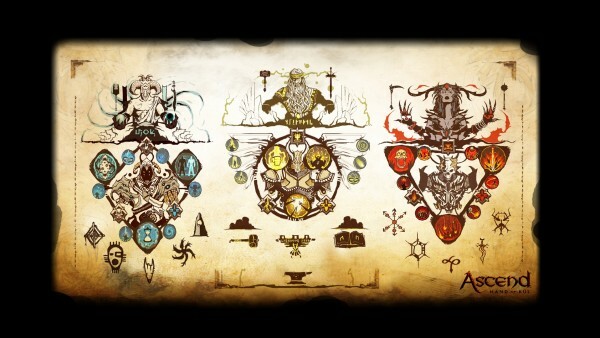 After reaching the appropriate level, the Caos is encouraged to Ascend into the Crusade to become an Ascended Champion. At this point, the Caos dies to be reborn, being granted the option to place equipment on a Legacy Pillar (the first is free…the others, of course, cost souls) in order to pass it on to the next Caos. In being reborn, you will stand before the three gods to choose once more to whom you will pledge; each god will offer a bonus for your allegiance, which is passed on along with the current soul balance. In Ascending, certain abilities will be passed down to the next Caos. You have the option to Ascend every five levels, and each time the level cap will increase by five. Your Ascended Champion will earn an emblem for all Caos Warriors you create, serving as another encouragement to keep rerolling. Also, characters that you have retired through this process will attempt to invade other players’ lands and claim them as your own. A noteworthy plus of the Ascend: Hand of Kul beta (besides being free) is that dungeons are restocked every day, giving new loot and new monsters to plow through day after day. A complaint (or blessing, depending on your take) would be that many of the encounters can be avoided with the Dash ability; it’s possible to Dash through dungeons and loot chests while evading enemies. The foes are also fairly manageable; you can often step away from a boss to regenerate your health, though your enemy’s bar doesn’t seem to refill while you catch a breather.